Alphabet wall art in Polish! 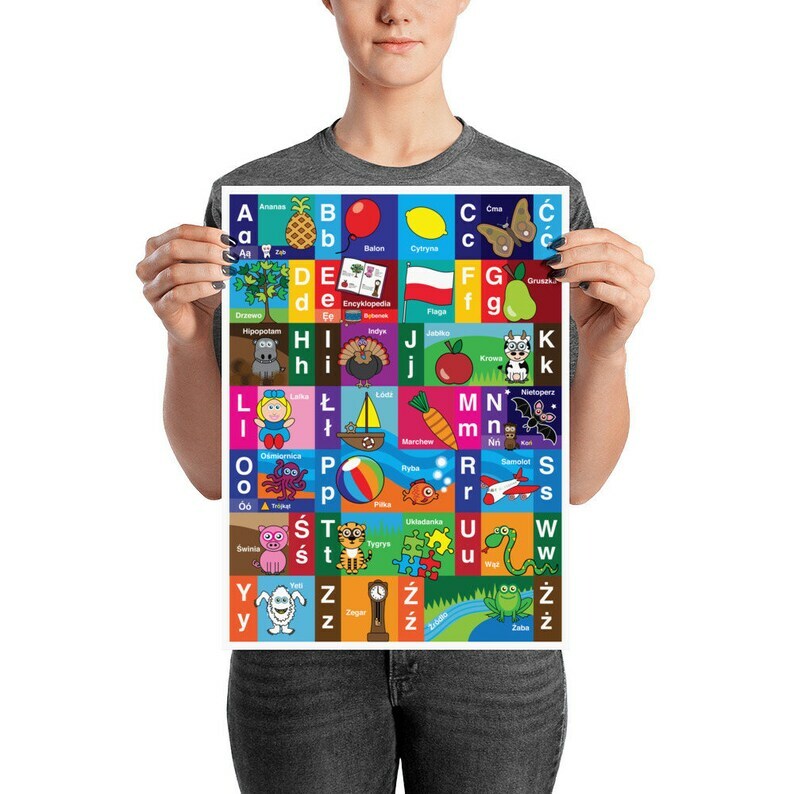 Bright and colourful, based on the illustrations within my books, this is a fun way to help your child learn the Polish alphabet. Especially if it's on their bedroom wall! Framed versions on alternative listing. This is printed to order by my supplier. Processing time is 7-8 business days.